Cream butter, peanut butter, and sugars together in a bowl; beat in eggs. In a separate bowl, sift flour, baking powder, baking soda, and salt; stir into butter mixture. Put dough in refrigerator for 1 hour. Roll dough into 1 inch balls and put on baking sheets. Flatten each ball with a fork, making a crisscross pattern. Bake in a preheated 375 degrees F oven for about 10 minutes or until cookies begin to brown. 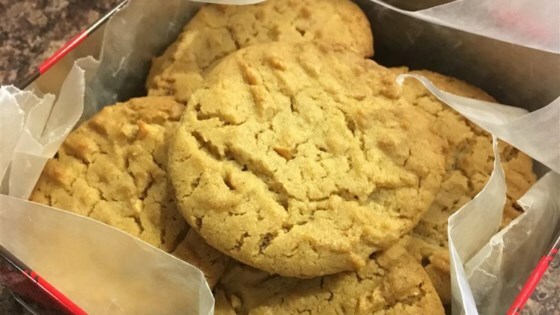 See how to make top-rated peanut butter cookies.